The idea for this project was first conceived of during a brainstorming meeting a few years ago. With the help and cooperation of many talented individuals, the idea became a reality and we are so excited to share it with you now. Portraits and video of participants convey their responses to the prompt “I AM … ” with words they have selected as statements of positivity and strength, like I AM brave. I AM in recovery. I AM a dad. In May 2017, we asked people connected to CHS to think about an I AM statement. Board members, staff, donors, and youth and families we serve all spent time thinking about who they are and what CHS has helped them to discover about themselves. And, through the talents of local photographer, Justin Souza, and local videographer, Brian Zarka, we captured their power. And it is stunning. We hope you enjoy. 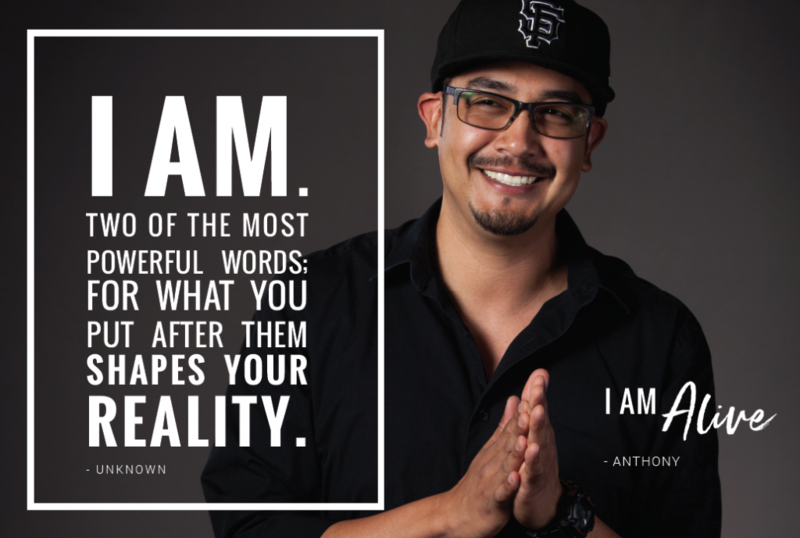 In August 2017 we hosted a reception and month-long exhibit of the I AM Project photo portraits at Deva Cafe in Downtown Modesto. We gathered with friends and community to celebrate our humanity and launch the project. Many thanks to all who made it possible including El Nido Productions, Photos Just So, and Aaron Brothers Art & Framing. At CHS we don’t see ourselves as separate from our community or the people we serve. Our humanity is our connecting thread. We are all human.